Raja Ampat for non-divers: Still paradise, and with a LOT to see and do. What’s to do in Raja Ampat for non-divers? You don’t have to be a diver to have the best time in Raja Ampat. It’s not widely realised that Raja Ampat’s terrestrial biodiversity is every bit as rich as that of its more famous marine environment. If you’re a diver, you probably already know Raja Ampat is as close as you’re ever going to get to heaven on earth. The beauty of Raja Ampat’s marine environments is that they are so diverse, rich and accessible that you don’t have to be a diver to be enthralled by the ever changing kaleidoscope of form and colour beneath the region’s waves. There’s a huge range of ocean life able to be explored on a single lungful of air. Even pelagic species like manta rays can be found close to shore in waters shallow enough for them to be seen by simply donning a mask and snorkel and floating on the surface… though there’s nothing quite like taking a breath and getting down amongst them! Even if you can’t swim at all, Raja Ampat’s tides make it possible to see an amazing range of marine animals. 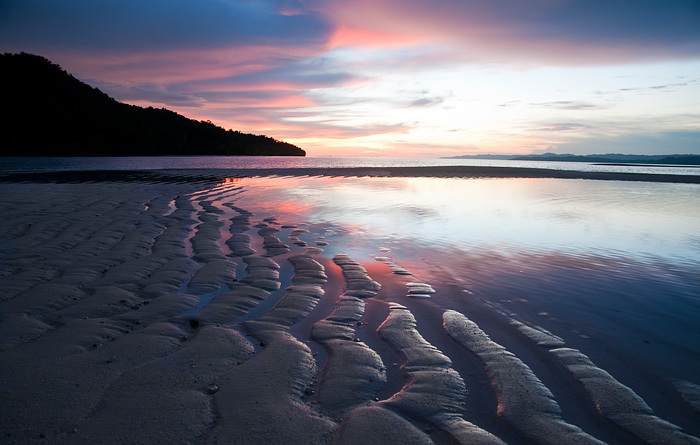 For a few hours every day coral reefs and sand flats emerge from the ocean and can be explored with ease. Coral, fish, rays and octopuses, squid, snakes, jelly and starfish – the shallows and pools created by the outgoing tides are almost as rich as the open ocean. Spend a minute looking down from almost any homestay jetty and you’ll be amazed. Above the waterline, the myriad islands of the archipelago present ornate landscapes conjured by wind, wave and rainfall from an ancient limestone. Draped in dense tropical forest and fringed by mangroves, the islands’ baroque topography creates ecological niches every bit as diverse and rich as those beneath the waves. Resounding with bird and insect calls, sheltering birds of paradise, cuscus and countless other forms of terrestrial life, the jungles of Raja Ampat abound in trekking opportunities and still offer the chance of encountering creatures and plants yet to be entered in any scientific taxonomy. Raja Ampat’s cultural heritage is rich and diverse too, ranging from neolithic shell middens and prehistoric cave paintings, through relics from the era of the Four Kings who once ruled here and gave the region its name, to remnants of a more recent history such as the cave bunkers and seabed wreckage remaining from the Second World War. There’s a lot to see and do in Raja Ampat for non-divers, but at the same time, you couldn’t pick a better place to get away from it all. Between the jungle’s dawn bird chorus and the ocean’s reflected sunset glow there’s nothing but the calm passing of another day, lost in a tropical island paradise. Hi, we wanted to do raja ampat but not liveaboard. Is it possible to see Whale Sharks this way? Whale sharks are only rarely seen in Raja Ampat and are not known to frequent any particular place there. You would have to be extremely lucky to see one! Cenderawasih Bay is the place to go if you want to be guaranteed a whale shark encounter. We are planning to go to Raja Ampat during Chinese New Year, 1-7 oct. Are the home-stays normally full during that week? Or can we just come and book day by day and move around a bit? You will always be able to find homestay accommodation without booking in advance – as long as you don’t want to stay at the most popular ones! The Waisai Homestay Information Center will be able to help you if you arrive without having booking or transport to the islands arranged. Thanks for the great website. Is there any surfing in Raja Ampat? Do you know about good surf spots and best time of the year for surfing? Is there surfing equipment for rent and are there surf schools? Thanks a lot. Surf exists in Raja Ampat. We know, because we’ve seen the photos. The location was really remote though. Up near Ayau. Quite difficult to get to, and no homestays there yet. There are no surf schools or equipment hire places anywhere in Raja Ampat that we know of. Do you have any recommandations? Is June a bad moment? I can also travel in September, would it be much better? You’ll find snorkelling cruises on this page. September would normally be a much better time to go than June. Full weather info is here, and the answers to the questions most visitors ask can be found by following the links from our step by step guide. We are planning a trip to Raja Ampat for this summer. My husband loves fishing, will he be able to go line-fishing on the ground, or on the boat while on a diving tour for example? Or are there regulations against that? 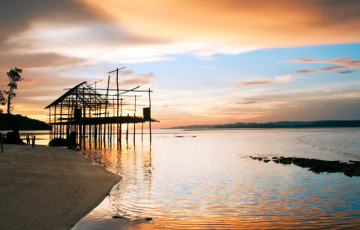 Fishing is only permitted outside the Marine Protected Areas and the sasi protection zones at various homestays and villages. Most dive sites can’t be fished. Your hosts will be able to tell you more. We are planning to go there this coming May 2017 with 20months old baby. That’s a hard one. Malaria, while not common, is definitely a risk in Raja Ampat. We’re not qualified to give you advice about that. Apart from malaria, the only other risk for a two year old might be gastrointestinal illness. Western standard medical care isn’t available in Raja Ampat if anything bad should happen. You should probably consult a professional! Hi Matthew – there isn’t one on the website yet, but it’s getting close to the time when we need to add one isn’t it? :) In the meantime, you’re welcome to post requests fro travelling companions on any relevant website page or over on our facebook page. Almost all the inhabitants of Raja Ampat villages are orang asli – although the “real” orang asli are the Maya people who live in the villages of Teluk Mayalibit. The sheltered north coasts of islands like Kri, Mansuar and Birie are fine for snorkelling in July. See full weather and climate details here. The peak time for mantas is mid-October to mid-May though, so you may not see them in July. Whale sharks are not common visitors to Raja Ampat and you’d be very lucky to ever see them there. Cenderawasih Bay on the north coast of the Papuan mainland is the hotspot for whale sharks. Thank you for the fast reply! We’re thinking of going to Raja Ampat during Christmas/ New Year period, we’re non divers so we’d like to do activities on land, island hopping and snorkelling. Would late Dec be a good time to travel or would we be getting a lot of rain for on land activities and quite muddy and slippery to look around? And would it get really choppy for snorkelling? Thanks! Full weather and climate info is available here. December’s great for snorkelling, but can sometimes be wet, particularly at Waigeo. Not so much on the smaller islands. Even on Waigeo it won’t rain all day, every day! Almost every homestay on the site has good snorkelling nearby. To quickly find a list of homestays with great snorkelling at the door, use the Show advanced search on the accommodation page and select the “Good house reef” checkbox. You can also select a price range, beach type and any other criteria you want. Then hit the blue “Search accommodation” button to see a list of homestays that match your selected criteria. ” There was information regarding some travel package options i.e. : Waisai to Kabui (est. Rp. 2.500.000), Kabui-Hidden Bay-Arborek (est. Rp.5.000.000), Koh-Yembuba/Mensuar (est. Rp.1.000.000), and Meos Kon-Friwen-Batu Lima and Saonek Monde (est. below Rp.1.000.000). These packages are excluding diving fee (est Rp.350.000-Rp.550.000 / dive) and dive equipments rental fee (est. Rp. 50.000- Rp.350.000). 1 small fibre speed boat with 2 engines can hold 10 passengers including the crews. I am not sure how accurate or recent these informations are and there weren’t more details provided in the short article. Just thought I’d share. Keep up the good work, Admins! This step by step guide provides everything you need to know when planning a Raja Ampat trip. Start here to quickly find the answers to all your questions. 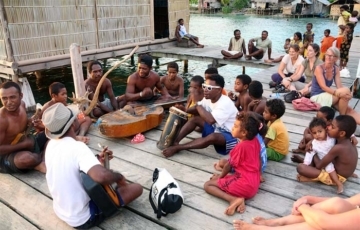 Detailed must-know information for those considering accommodation in Raja Ampat homestays. Room types, facilities, services and cultural considerations. 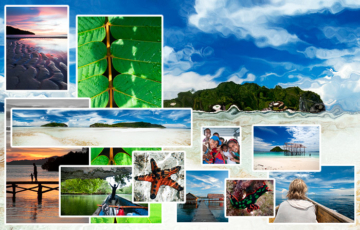 Aug 25 2015: This survey provides feedback directly to Raja Ampat’s eco-tourism operators. If you’ve visited the islands, your feedback is sought and valued! Updated Sep 9 2017: UNDP Equator Prize winners, supporting Papuan accommodation providers, ecotourism ventures, conservation initiatives, and visitors. Please don't steal our content Ask us!